Government and private industries are experiencing a shortage of employees trained in STEM-related fields (science, technology, engineering and math) to meet the demands of the labor market. As a Hispanic-Serving Institution (HSI)*, University of Houston-Clear Lake aims to address this shortage and increase the number of Hispanic and low-income students earning degrees in STEM fields. 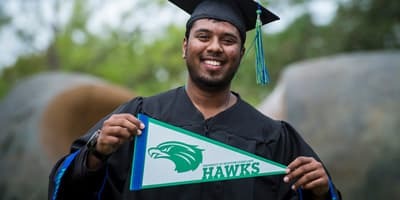 To help UHCL achieve this goal, the U.S. Department of Education awarded UHCL an HSI-STEM grant in the fall of 2016 through the HSI STEM Grant and Articulation Program. 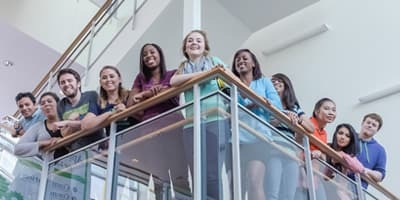 *The U.S. Department of Education defines HSI as a higher education institution that has an enrollment of undergraduate full-time equivalent students that is at least 25 percent Hispanic. 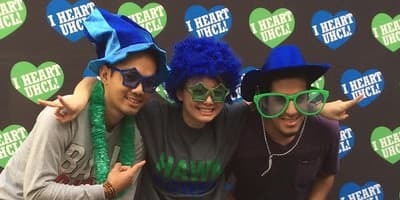 Pathways to STEM Careers: A University-Community College-Industry Partnership is a grant program that enables UHCL to develop and enhance support services and strategies to increase student success among Hispanic and other low-income students in STEM fields. It also allows the university to develop model programs for Hispanic students’ successful transfer from two-year Hispanic institutions to four-year institutions in STEM fields of study. UH-Clear Lake received more than $3.7 million for the program to be distributed from 2016-2021. Increase program retention rate and number of graduates in STEM fields. Develop model transfer and articulation agreements in STEM fields with area HSI colleges. Develop computer science 7-12 teacher certification degree programs. Provide culturally responsive professional development opportunities for college faculty and high school STEM teachers. Provide paid opportunities for students to conduct scientific research supervised by UHCL faculty, and gain practical on-the-job experience via internships.